Not that they particularly needed it, but CoolSprings Galleria has gotten a makeover. renovated Food Court, new glass oversized elevator, new stone staircase, Gift card balance readers at directory locations, new carpeted soft seating areas, renovated mall entrances, brilliantly finished wood floors, limestone, tile flooring, and much more! There are several events scheduled, including Mix 92.9’s booth, chef demonstrations and appearances by The VeggieTales. There is an article today that names Miami as the city with the worst drivers. Nashville was actually ranked as one of the cities with the most courteous drivers. Take a moment to pat yourselves for your lack of road rage. I know people in Nashville like to complain about the other drivers in the city, but it is worse elsewhere. I don’t remember Miami being particularly bad, but I have driven enough in Boston and Los Angeles to know that they do deserve to be singled out for being bad. In Los Angeles there are just too many cars, and it takes way too long to get anywhere. It is enough to bring rage to the most passive drivers. Boston on the other hand suffers from horible urban planning. The streets in downtown Boston are actually the paths that the cows and other animals took over 200 years ago. There are also very few lines painted on the roads (I think the wear away from all of the salt and snow plows in winter). Nashville’s Farmer’s Market is continuing its efforts to entice local produce growers back into serving the Nashville market. It’s no easy task — local producers face stiff competition by resellers who sell cheaper, “better looking” produce that tends to appeal to customers. The market is attempting to help offset this by offering $10/day rent on Saturdays and Sundays for growers within a 150-mi radius, which seems like a pretty good idea. At the Urban Residents meeting tonight, as we discussed grocery store options, and the new HG Hills that will be opening downtown, it occurred to me that it might be nice to broker some sort of deal that would allow local producers to haul some of their goods to a market in the downtown area — either at HG Hills, or elsewhere. Community Support Agriculture is a great thing, but it can sometimes be daunting to the casual initiate who might want to support local growers, but don’t or can’t commit to the levels of produce-buying that CSA farms tend to demand. 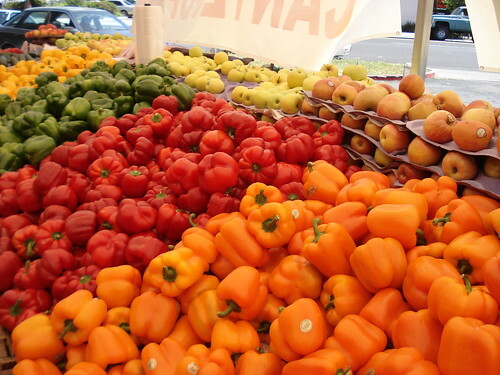 A more convenient market with local produce for the growing downtown population would be a fine thing to have. Why: To support Winnie’s two kids, left in the wake of this tragedy. What: Many artists — bands and singer/songwriters both. I’ll have more details on who specifically will be playing as they are booked, but expect some of the regular faces at Windows. There will probably be food, too — with Charlie providing his delicious vegetarian fare. There will be no cover, but donations are encouraged (indeed, that’s the point), and all proceeds from booze/food sales and donations will be contributed to the fund for Winnie’s kids. Mark your calendar! UPDATE: The date has changed from June 12th to June 5th. Mark your calendar .. again. 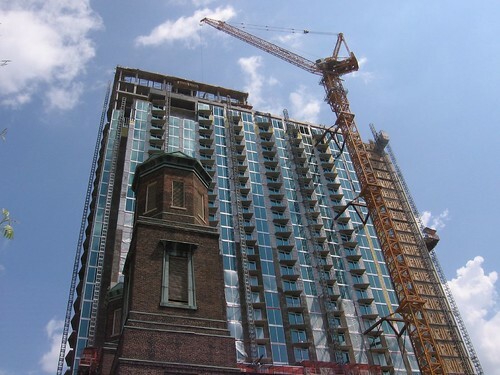 Downtown Nashville residential life is growing at a furious pace. The Veridian is nearing completion, and the Signature promises to bring a deluge of fresh faces to the Downtown community. I attended a meeting for the fledgling Urban Residents Association tonight at the Cumberland on Church. Turnout was smaller than I expected, but the organization is just getting its bearings. The rough goal of the organization at this point is to provide a representative organization for residents in the downtown Nashville area, to complement the Downtown Partnership, which is a little more business/commerce-minded. Conversation at this meeting touched on the ramifications of the recent growth in interest in living Downtown, needs of the community, and taking a detour to the “homeless problem” (a phrase I recoil from, personally). The association hopefully will soon have a website of its own with comprehensive updates/information. The meetings for now will continue to be held at the Cumberland on the third Monday of the month. I’ll post more updates and information as I get them. If you live in the downtown area, come on down and make your voice heard. In a pleasant break from a lousy tradition, the Mayor’s State of Metro address will be open to the public this year, without the $25 fee. This is good news, as it makes the event less of a corporate back-scratch-fest, and more of what it should be: the mayor’s address to his constituents. What’s unclear, however, is whether or not registration is still necessary to retain a seat, whether or not they are charging for it. The registration page linked to by the Nashville Chamber of Commerce still asks for $25 to register — I assume it just hasn’t been updated yet. I’ve e-mailed the chamber to clarify. Last weekend, Nashville was robbed of one of its true assets. There were few people in the 2nd Ave area downtown who didn’t know Freweini “Winnie” Gebremicael — if not her name, at least her generous spirit. Winnie ran the City Coffee Shop with her family, along with the Night Owl Cafe in the Market Street Emporium. She was kind, gentle, funny, caring, and hard-working — putting her two kids first at every opportunity. I know this, sadly, not because I knew her as well as I would have liked, but instead because I heard it from the outpouring of memories today at the memorial service to honor her life, which was tragically cut short last week. Winnie was the victim of a brutal, and as of yet unsolved murder. The memorial service was beautiful, overwhelmingly sad, and yet rather amazing. I saw faces there that I see every day downtown, from all walks of life. It’s amazing that Winnie touched so many people, and also amazing that Nashville has such a community thriving in its downtown area — something that not any city of Nashville’s size can boast. We should all consider ourselves lucky. The priest, in his eulogy, said something that stuck with me. He said that although the community was there to honor Winnie’s life and support her family now — the true test is 6 months down the road, when things can truly be the hardest. He challenged us to do what we can to be supportive, and I intend to. So, while Winnie will no longer be greeting us with a smile as we stumble into work, her family will be, as they pick up the pieces and move on. The Night Owl is re-opening on Monday for business as usual, though it will not be an easy day. She and her family work very hard, and we owe it to them, and to Winnie’s memory, to support them and keep them going. I encourage you to come by, say hi, and grab a bite to eat. It’s a great place — you’ll be glad you did. UPDATE: The Night Owl will re-open on Wednesday, May 17th.